Grand Lucayan, (formerly Our Lucaya Beach & Golf Resort as well as a winner of FTF’s Top 10 Getaways for Tiny Travelers award) gets a fresh look in 2015. This spectacular beachfront resort opened in December, 2000 as the centerpiece of the exciting renaissance of Grand Bahama Island. Named for the indigenous Lucayan Indians, known for their generous spirit, it is most impressive, and attention to detail is evident in all aspects of the deluxe Caribbean experience it offers. Under new management, it continues to provide options for traveling families, as well as for those seeking a relaxing and romantic getaway. 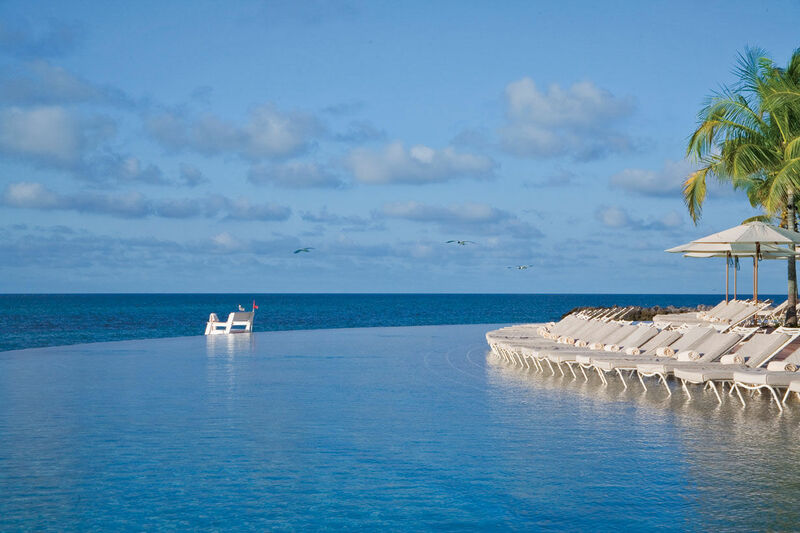 Located only 55 minutes by air from Miami, the Grand Lucayan resort highlights the clear turquoise sea, white sand beach, extensive golf and tennis facilities, imaginative swimming pools, sensuous spa, varied dining options, a Vegas-style casino, and friendly service with a flow of color. Families with kids of all ages are welcome, and the Kids Club, open daily from 9:30am to 8:30pm offers half and full day sessions to potty-trained three to 12-year-olds. Grandma Lucaya’s nursery, open daily from 9am to 5pm, but closed for an hour between noon and 1pm, offers loving care to newborns through three-year-olds for up to two hours per day. Additionally, private babysitting is available through Grandma Lucaya’s nursery. If you are looking for a great family together activity, the Grand Lucayan is very near the UNEXSO Dolphin Encounter. Here, you can watch trained dolphins do tricks, pet them and take some great family photographs.